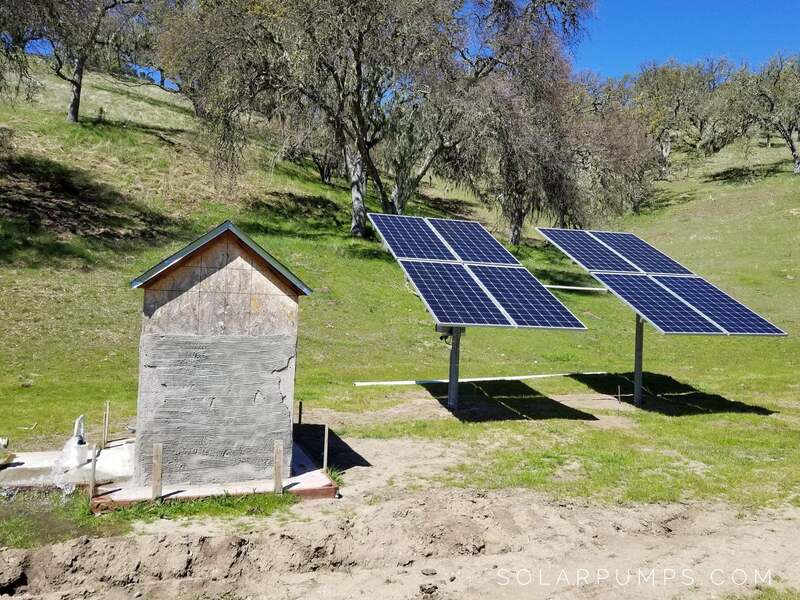 Our high capacity solar pump systems are great for domestic or commercial, large irrigation, dewatering, frac ponds, and much more! This solar (photovoltaic) well pump systems work best for deeper wells that demand higher flow for higher production. 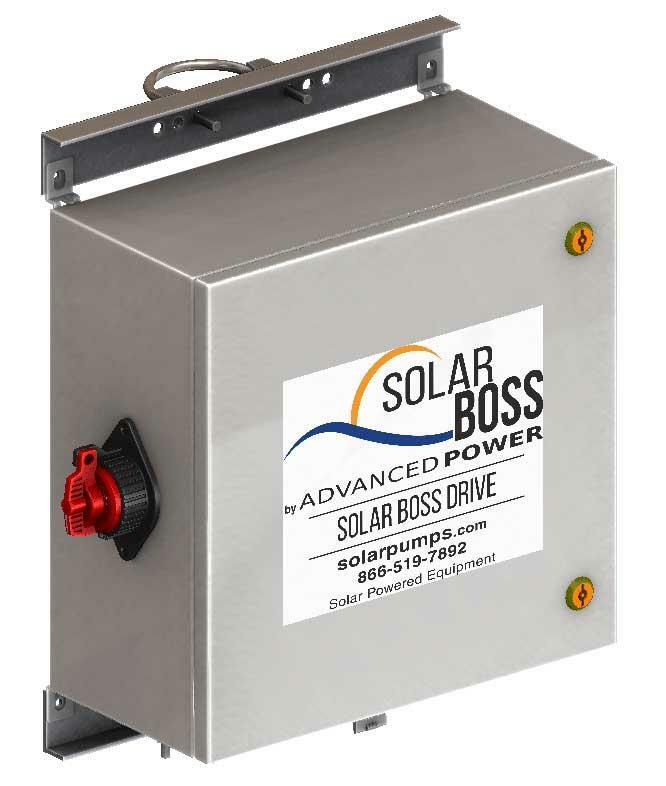 Deliver up to 50 GPM (Gallons Per Minute) at optimum power, based on a 7-hour run time. 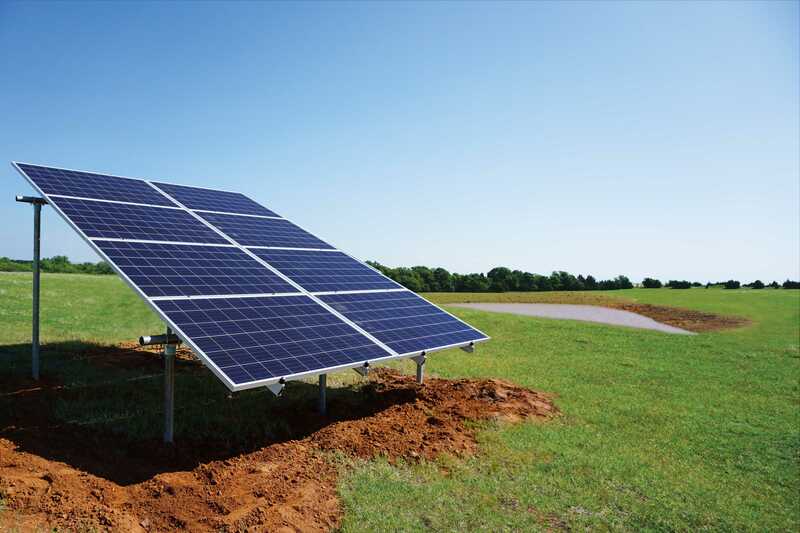 Custom solar panels include a 25-year power output warranty. 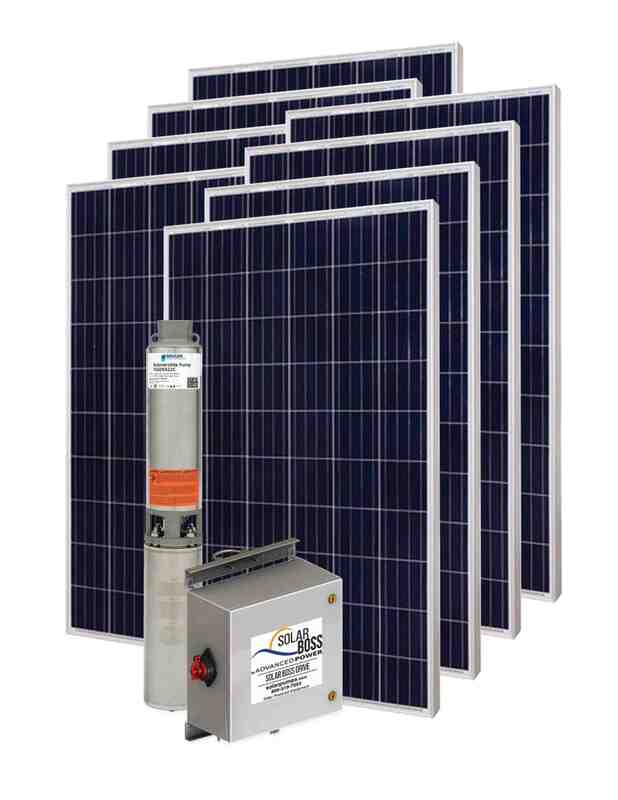 Solar pump (2.0HP) includes a 1-year warranty. Contact our system specialists for questions on specs and sizing for your particular application. Financing and bulk discounts available! (8) Axitec 72 cell solar modules or similar. High Capacity Pump varies from 2.0 HP stainless steel submersible pump comes with 100’ of attached wire. Professionally programmed by one of API's engineers. HC Pumps require a 5” or larger well casing. Systems require (2)- 4 1/2” OD x 10’6” SCH40 pole for pole mounting. Flows decrease as depth and pressure increases to maximum depth of 280 feet (122 PSI). You must provide sch40 pole for mounting and cement for setting around the pole.